Yep, I saw that smile on your face. 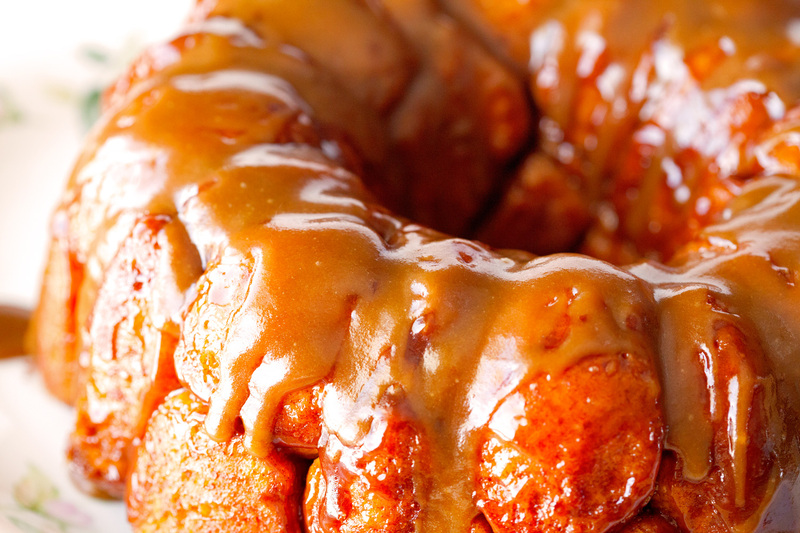 It’s a good start to the week when greeted with this caramelized and outrageous goodness. This is the result of yet another weekend of being buried in snow and giving in to my cravings. Saturday morning was spent on our couch watching the snowflakes fall. It was truly beautiful, but we soon ceased to be amazed at our winter wonderland when snow throwers and shovels called our names. Overwhelmed to say the least. Almost three hours later we were back on our couch not being able to move a single finger. For 5 minutes. Because as soon as I sat down, I had to have something containing carbs. And nothing can keep me away from food, no matter how much snow comes into way. I have to admit that I proceeded to still my hunger with a turkey sandwich and lots of extra cheese (Fontina rules my world lately) on the side. 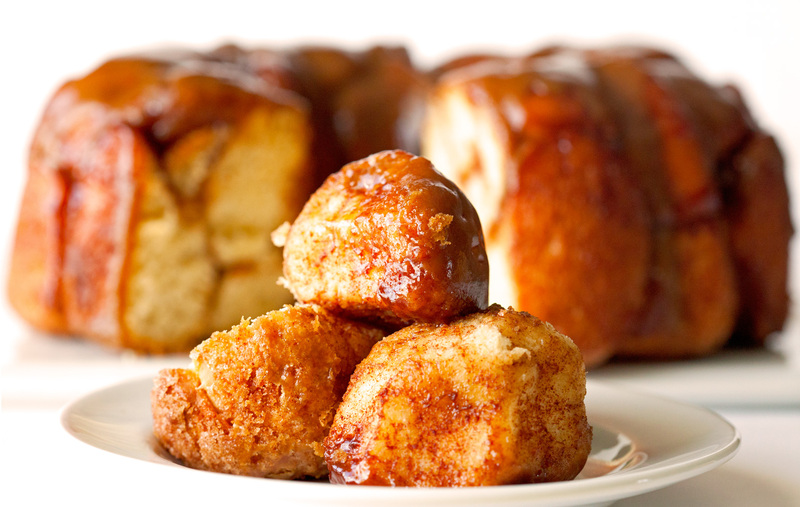 Monkey Bread made from scratch takes a while to mix up, so I settled for indulging the following morning. MN snow has its perks. They’re overwhelmingly mouthwatering. Everything you see here is made from scratch. 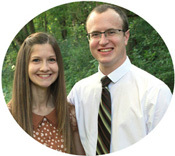 I know it sounds difficult or maybe even daunting, but the opposite couldn’t be more true. 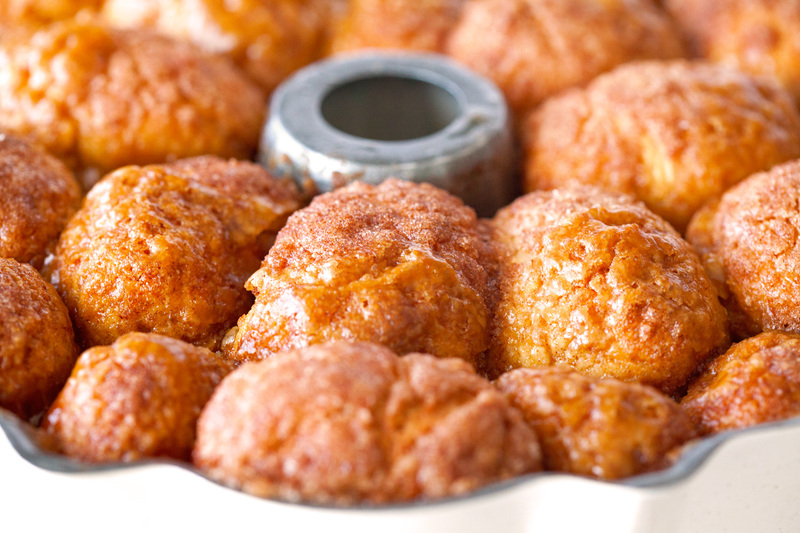 I have heard of using frozen dinner rolls to make monkey bread and even though I’ve never tried that version, I can honestly tell you that making your own dough, won’t take a lot of time and will be well worth it. There’s absolutely nothing wrong with taking shortcuts, but it makes a huge difference here to go the extra mile. The dough comes together in no time and most of the work will be done by your fridge! 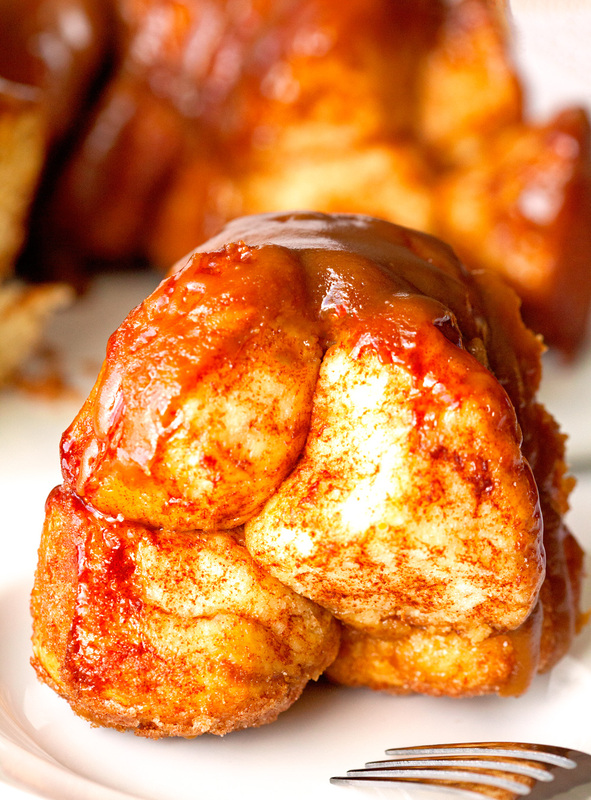 This was my first time making monkey bread. Not knowing what I was getting myself into, I was prepared to try multiple versions before nailing it on the head – not because I was overly negative, but I wanted to get it right. 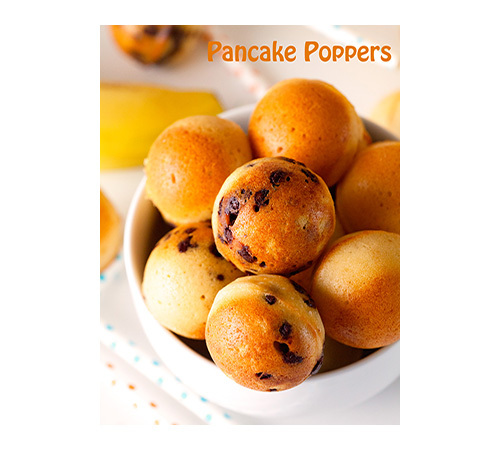 Wanted to make sure that all of you would have the best recipe in your hands. Because seriously, if you decide to give this completely homemade version a try, it needed to be so good that there was no possible way you would ever go back. The first one was THE winner – I am convinced no other recipe can come even close. And that is a huge statement coming from me. We are smitten. Here’s the bread ready to meet the oven. The dough had time to rest in the fridge overnight. After that, I rolled it into 42 dough balls and rolled them in butter and cinnamon sugar. Do I need to go on? Okay, I will. While the dough balls were rising (i.e. 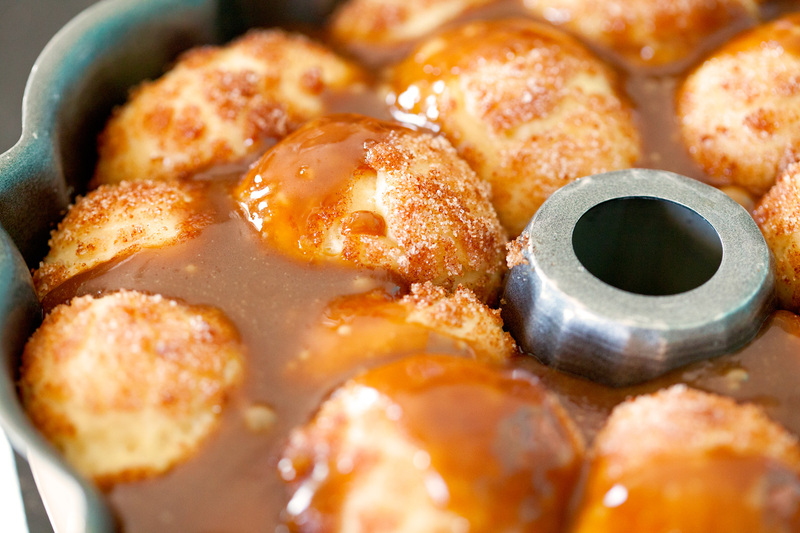 getting more puffy, plump and gorgeous by the minute), I prepared the caramel sauce. Super simple and one of the most luscious things you will ever produce in 5 minutes. And of course it’s salted. Feel free to omit that part if you absolutely have to, but I would strongly advise you against that for obvious reasons. Sea salt sprinkled on everything has been one of my favorite foodie discoveries. We’re tight for life. 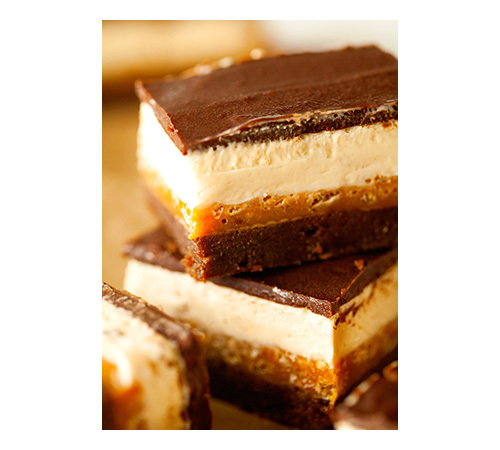 And here’s a look at the crunchy, chewy, sweet and caramelly bottom. You leave it in the pan for 5 minutes before inverting it onto a serving plate. 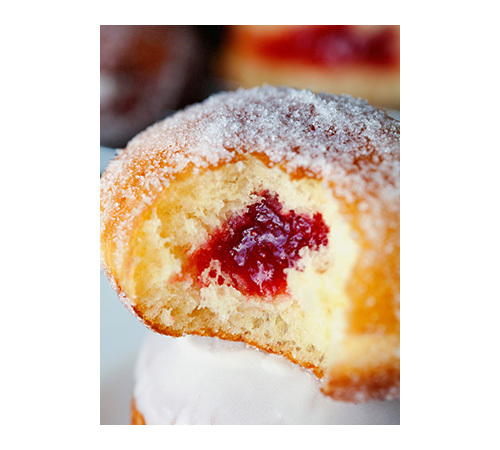 Please try to contain yourself – I know it’s hard :). One final coating of Salted Caramel Sauce. Oh my! Your house will smell so incredible your husband will not stop asking for a slice until you finally give in, even though he knows you need to get the perfect shot for your internet friends, ha. Breakfast, lunch or dinner. I could go for this any time of the day! 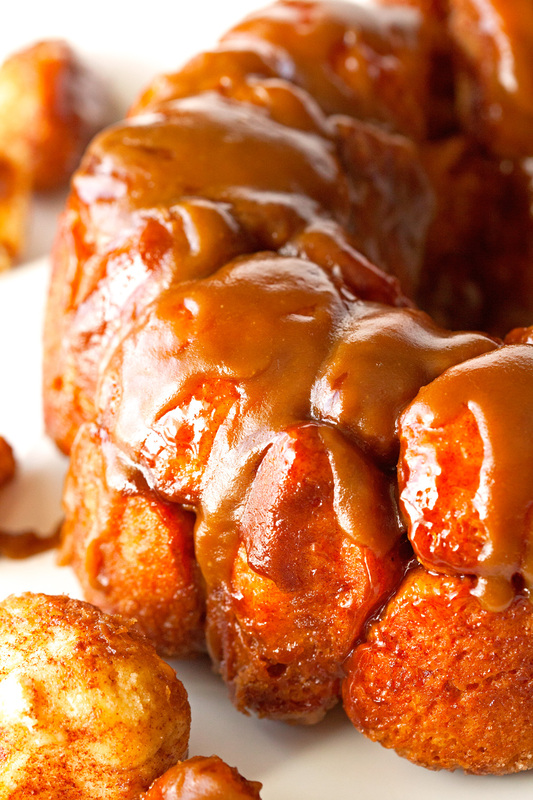 This Monkey Bread will have your entire family begging for more. Made completely from scratch, but don't worry, it's super easy to prepare! 1. In the bowl of your stand mixer, combine yeast and water. Give it a gentle stir and let stand for 10 minutes. Attach the dough hook and slowly mix in warm milk, butter, sugar and eggs (one at-a-time). When combined, add salt and 3 1/2 cups flour. Continue to mix until dough forms (it will be slightly sticky), about 2 minutes. 2. Turn off mixer and place dough on a floured surface. 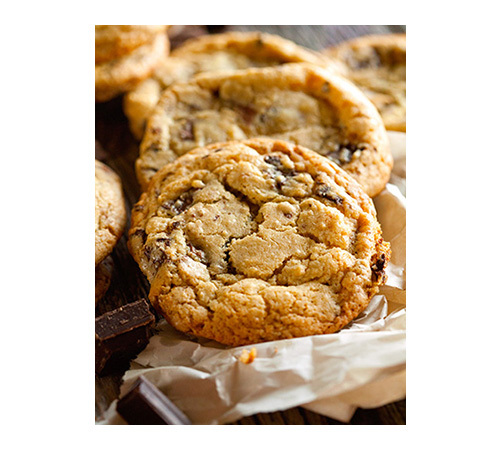 Continue kneading the dough with your hands and incorporate remaining 1 1/2 cups of flour, about 5-7 minutes. Dough should not stick to your hands. Lightly oil a bowl (I used nonstick spray) and place dough inside. Cover with plastic wrap and refrigerate for 8 hours or overnight. 3. Thoroughly oil a bundt pan and set aside. Prepare the cinnamon-sugar coating. Melt stick of butter in a shallow bowl. In another shallow bowl, combine 1 1/2 cups of sugar and ground cinnamon. Set aside. 4. Remove dough from fridge and form into 40-45 dough balls, about 1 1/2 - 2 inches in diameter each (I ended up with 42). 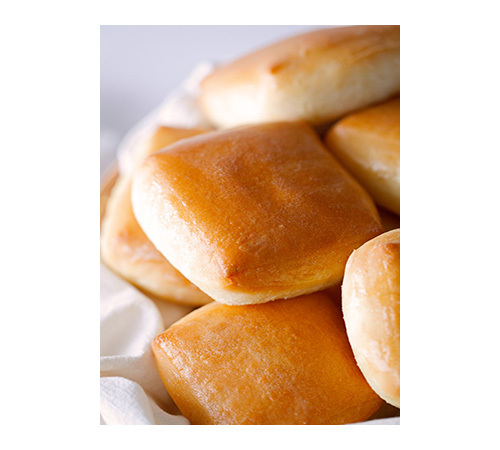 Roll each dough ball in the melted butter and then in the cinnamon-sugar until evenly coated. Place into bundt pan. Cover pan with a clean kitchen towel and let rise at room temperature for 1 hour. 5. Meanwhile, prepare Salted Caramel Sauce. In a small saucepan, melt butter. Add brown sugar, sea salt and heavy cream. Bring to a boil and then turn heat down to medium-low. Continue cooking for 3-4 minutes, until sugar is completely dissolved. Salted Caramel Sauce can be made in advance. Simply microwave sauce for 30 seconds to get it back to its original consistency and use as directed. 6. Preheat oven to 350 degrees F. Pour half of the Salted Caramel Sauce evenly over the Monkey Bread and place in the oven. Bake for 35-38 minutes or until top is caramelized and golden brown. Remove bundt pan from oven and let rest for 5 minutes. Invert pan onto a serving platter and drizzle remaining caramel sauce over the top. Serve and enjoy! 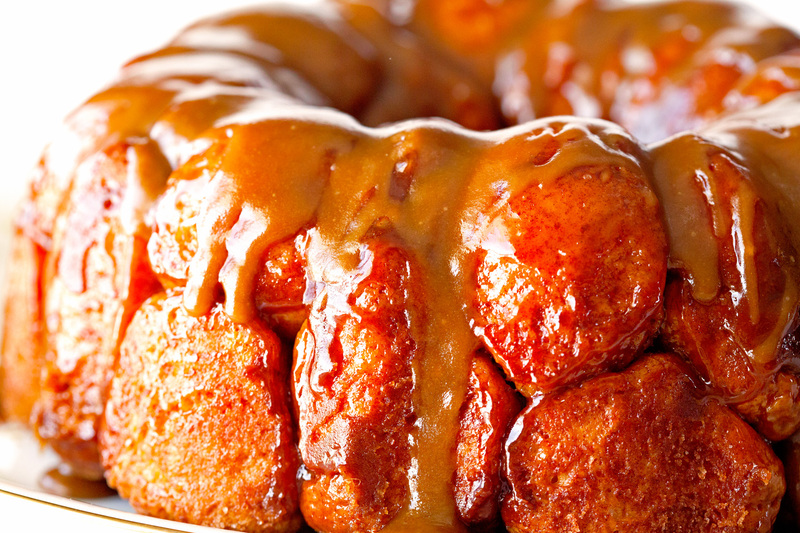 Monkey Bread is best when enjoyed on the same day. Alternatively, you can store it in an airtight container for up to 3 days. 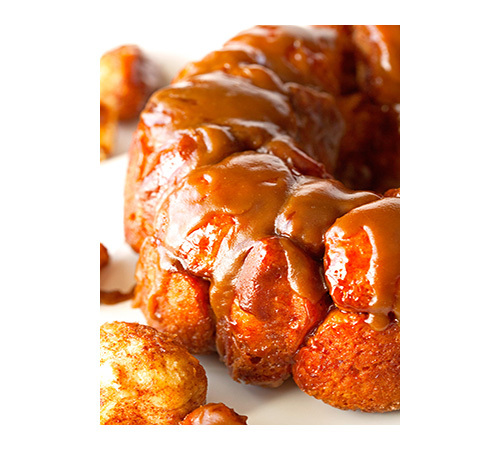 This is a beautiful monkey bread. I love that you added a salted caramel sauce. Decadent! Yes, it’s definitely decadent. But, oh so worth it! Thank you so much, Terri! 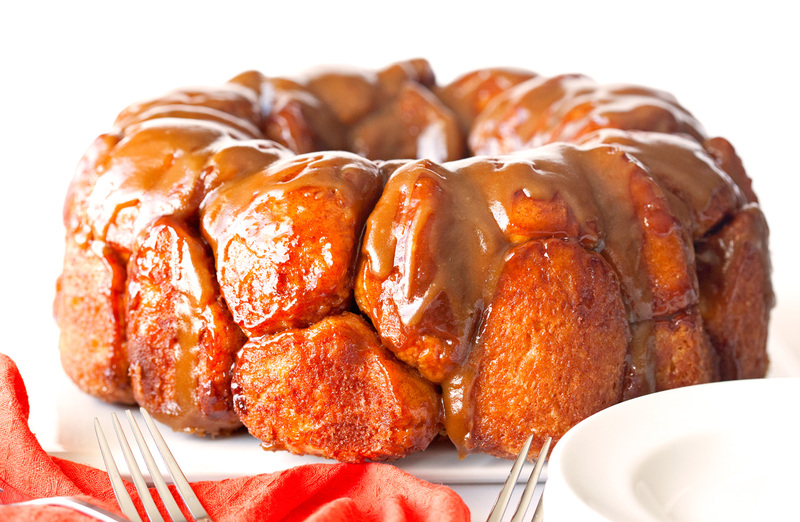 Hello can i make the monkey bread at night and just bake it in the morning?? That looks much better than the recipe I just made, I am going to have to try this one. 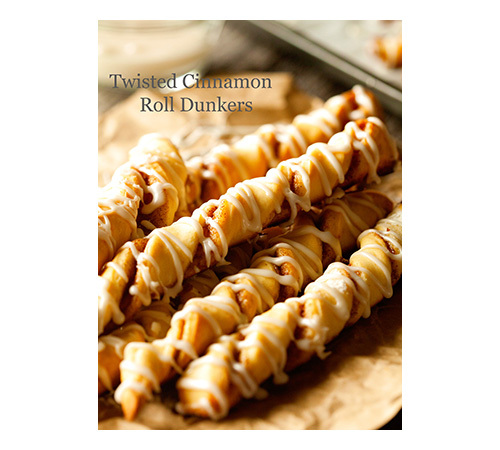 These look so mouthwateringly caramelised and delicious! Your amazing photography skills also makes the dish look ten times more scrumptious, haha! This is fantastic! Thank you for posting. 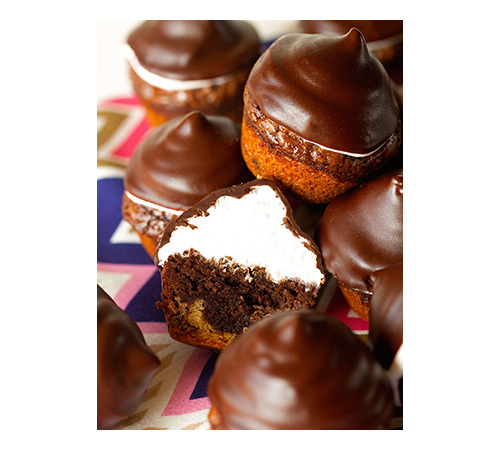 I don’t have a Bundt pan but I NEED to make this; what do you suggest? I have an 8 inch loaf pan – could I split the recipe into two batches? Thanks and enjoy your day!